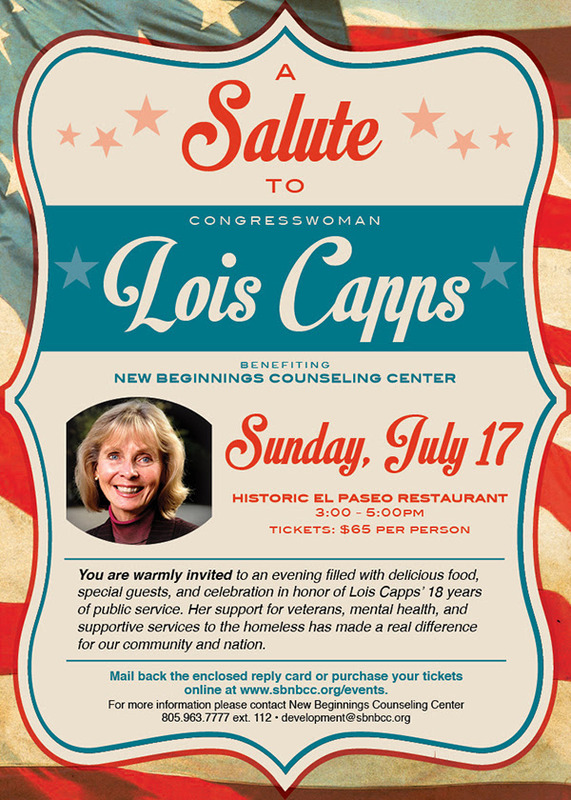 DSC Folk: Election Day is just a week away, and here’s a chance to show your support for both our next representative in Congress and our next U.S. Senator in one neat noontime rally. 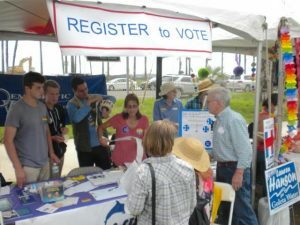 Volunteers of all ages were on hand to register voters and remind them of why they should vote. need to re-register for one reason or another. 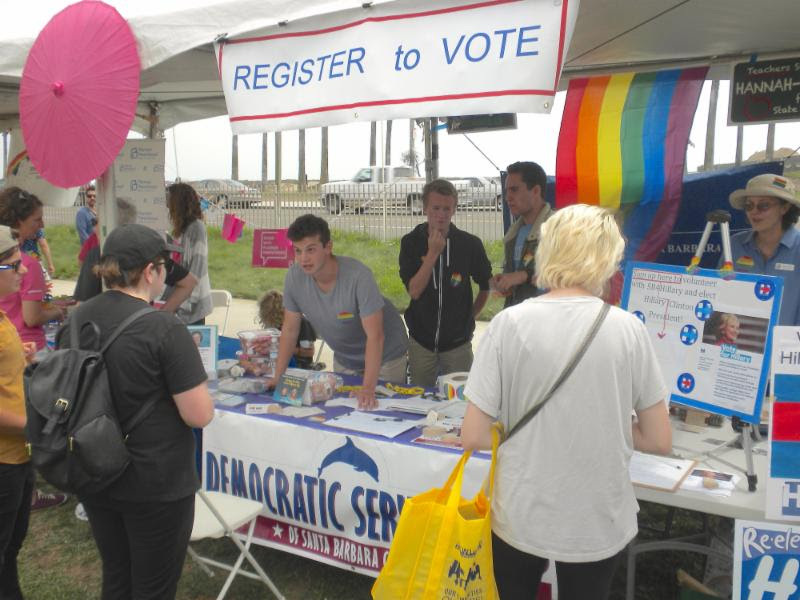 Our volunteers were coordinated by our voter reg. specialist Jim MacMillan. 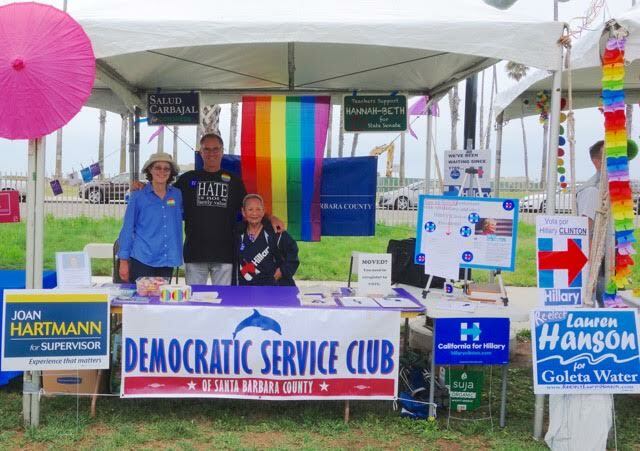 The Democratic Service Club is also currently planning a series of regular tabling days at SBCC in September and October. Watch for details soon as we put together a team of volunteers for that project. 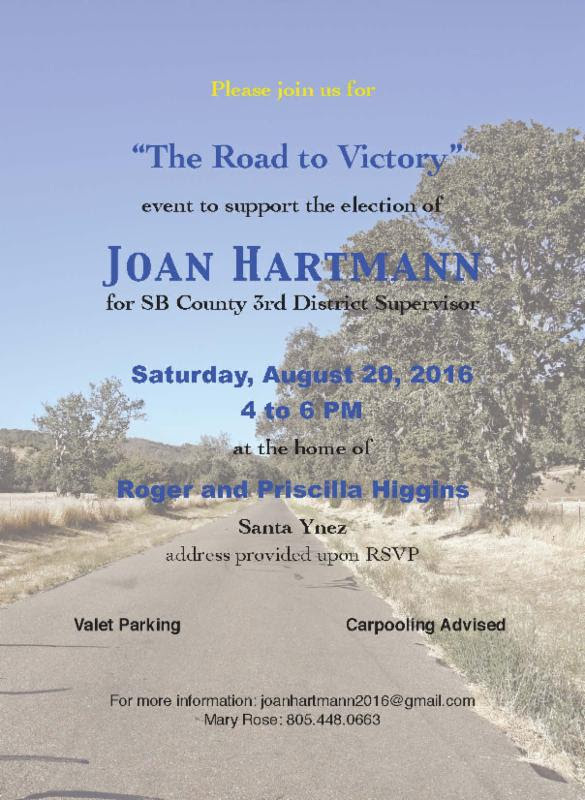 DSC Folk: Whether or not you live in the 3rd District, you have a stake in making sure Joan Hartmann wins her race for the county Board of Supervisors. She is an awesome candidate who can and will keep our county government on the right road. 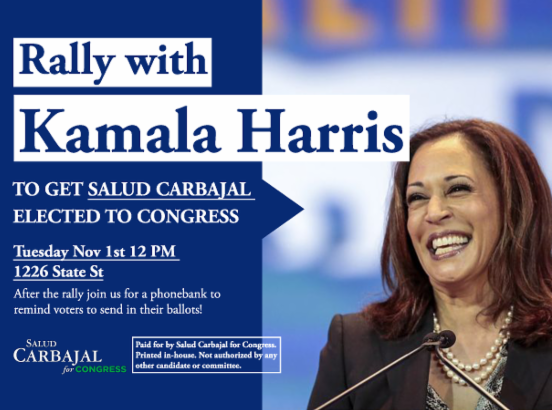 Here’s a great way to meet and support Joan in the beautiful heart of the district she will represent. 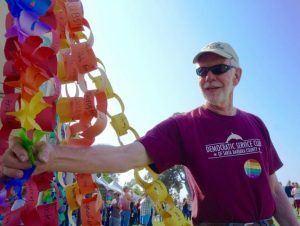 The annual Pacific Pride Festival is Aug 27. This is a fun event and we will have a voter registration booth there. The DSC steering Committee has taken all but 3 shifts. The ones left will be first come first serve. I will not be able to do SBCC this year. Someone from the DSC will contact you to volunteer soon. I will ask them to put DSC in the subject line so you can find it in your junk mail. This is a very important election. We must not let Trump become our Commander & Chief. 12:00 to 2:00-Jane Herner, ???????? 4:00 to 6:00-Sally Hearon, ?????????? 6:00 to 7:00 & takedown-Jim MacMillan, ???????? As usual for California, the statewide ballot in November will be overflowing with voter initiatives, constitutional amendments, and legislative proposals requiring considerable attention and study from voters hoping to make thoughtful choices. The most current official listing of these measures–17, in all, (Props. 51 thru 67)–can be found by visiting the Secretary of State’s site, and further non-partisan information is available from Ballotpedia. Prop. 59, voter instruction for overturning Citizens United. Now could be a good time to start educating ourselves! In the past two months, the Santa Barbara County Democratic Party has given its official endorsement to Laura Capps for the Santa Barbara school board, Susan Epstein for Goleta school board, Kyle Richards for Goleta City Council, and to the November ballot measure that seeks to create a formal Community Services District in Isla Vista. Epstein is running for her fourth term on the Goleta school board, but Capps and Richards are first-time office seekers, and the party is equally enthusiastic about each of these candidates, and welcomes them to the extensive slate of fine Democrats to be supported in November. Though only residents of Isla Vista can vote for the upgrade to Community Services District status, it is seen as a regional landmark opportunity for improvement to a vital part of the county that has had only minimal means of self-governance. A major point of persuasion in this measure is its funding through a user utility tax (UUT), which is widely seen as equitable for both landlords and residents. 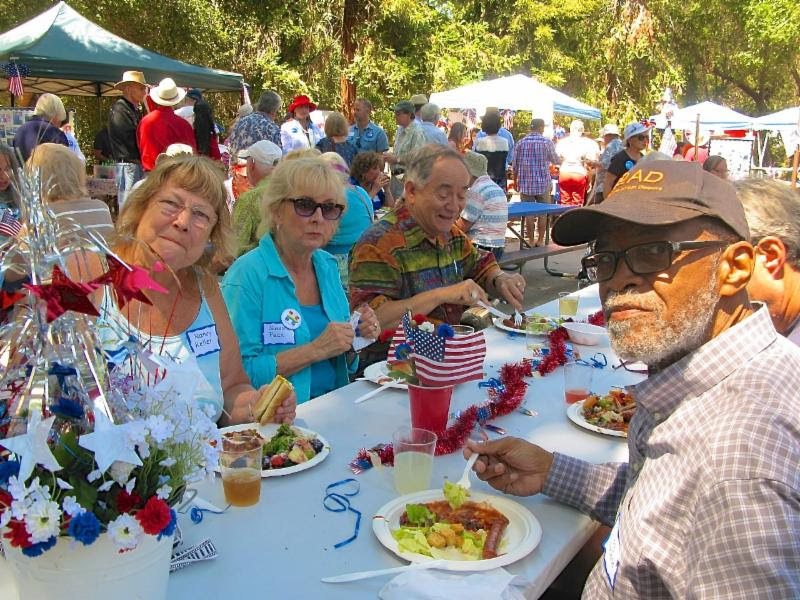 More than a hundred local Democratic patriots, candidates and elected officials gathered earlier this month for the DSC’s annual 4th of July barbecue at Stow Grove Park in Goleta. The record numbers probably had something to do with the upcoming presidential election, but it was also a chance for activists to meet and hear from Democratic candidates seeking to represent us in Congress (Salud Carbajal), the State Senate (Hannah-Beth Jackson) and Assembly (Monique Limón), and county Board of Supervisors (Das Williams and Joan Hartmann). Goleta City Council candidate Kyle Richards and State Assembly hopeful Monique Limón. One important feature of this year’s event was the opportunity for many newcomers to local politics to meet the veterans. 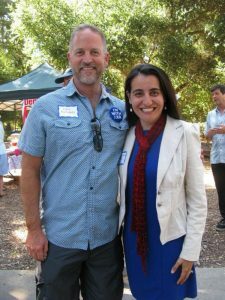 Just a few days after the BBQ, Goleta City Council candidate Kyle Richards (left, with Monique Limón) received the endorsement of the SB County Democratic Party. 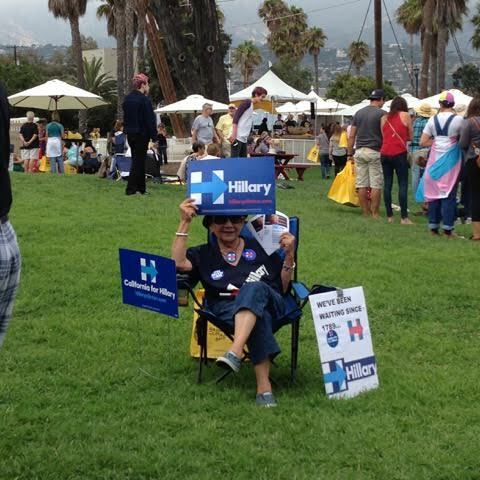 The event also offered a chance for Hillary Clinton’s California campaign to reach local volunteers, Dem Women to offer their unique “V ? TE” t-shirt for sale, and MOVI (Money Out/Votes In) activists to rally the crowd to help Californians overturn Citizens United. 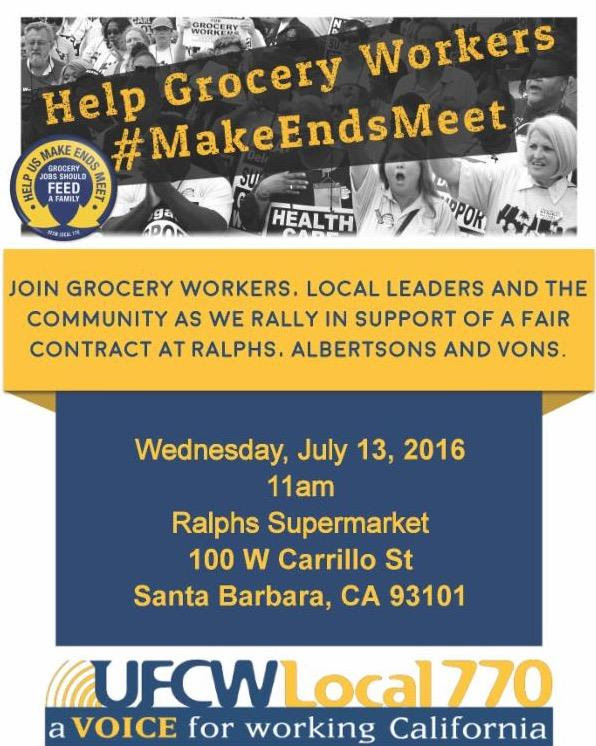 wanted to alert you about a rally this week at the downtown Ralph’s store: Weds. labor action on this front in the near future.